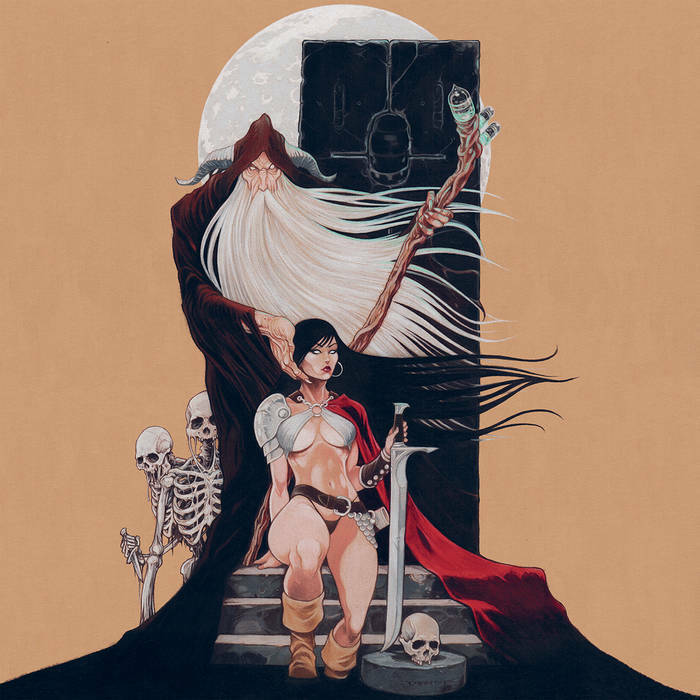 Khemmis are a doom metal band from the US and this is their third album. 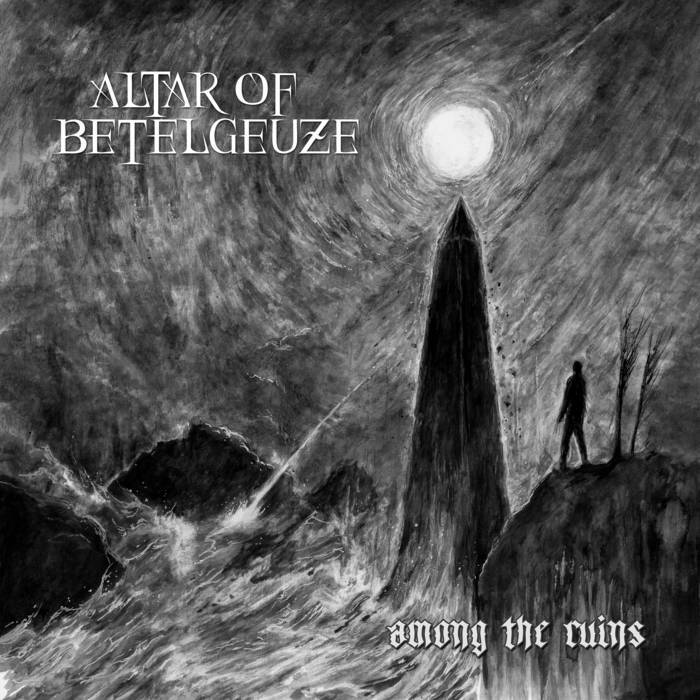 This is the second album from Finnish doom metallers Altar of Betelgeuze. Full of fuzzy stoner riffs, this is stoner doom metal that has bitten off a good chunk of death/doom and regurgitates it across these 49 minutes. This is the second album from US doom metal band Khemmis. Khemmis’ debut album, Absolution, was one of my favourite releases of 2015, and has continued to be a firm-favourite of mine ever since first hearing it. Continuing on with their style of combining traditional doom metal with sludge metal, the songs on Hunted are a tad longer, allowing the band more room to explore and expand on their core style. This is the second EP from Finnish Death/Sludge Metal band Black Royal. 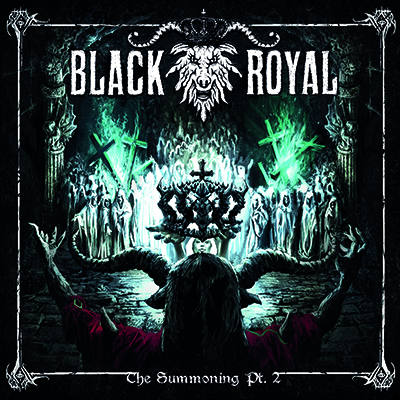 Black Royal have an interesting style, effectively combining primitive 90s Death Metal with a Sludge/Stoner influence. It’s definitely the path less-travelled and makes for a very enjoyable journey. We are a doomed rock ‘n roll outfit from the greatest city in America – Denver, CO. We like good beer, loud amplifiers, old motorcycles/cars/vans, and Iron Maiden. [Ben] I moved from Mississippi to Colorado to go back to grad school. Phil was already a student in the same doctoral program, and we hit it off instantly after talking about Saint Vitus. I posted an ad on Craigslist featuring a picture of Jawas from Star Wars carrying a Sunn Model T, and Dan got in touch with me. We grabbed beers at TRVE Brewing, where Zach, having also recently relocated to Denver and looking to join a band, was the head brewer. At the end of the day, we’re just four friends who try to write the sort of rock ‘n roll we want to hear. We are floored that our music is connecting with people. [Ben] While travelling abroad, Phil partook in a ritual with the high priests of Akhmim. He awoke, alone in the desert, babbling incoherently—and the only word that could be understood was “Khemmis”. [Ben] Fister – IV, Primitive Man – Home is Where the Hatred Is, Water Liars – Wyoming, Abrams – Lust, Love, Loss, Mercyful Fate – Melissa , Bell Witch – Four Phantoms, the new High on Fire (Luminiferous). Absolution has an interesting mix of Traditional Doom and Sludge – tell us about this. [Ben] Thanks, we’re excited that people are into our take on doom/rock/whatever you want to call it. We started as a more traditional low-tuned, mega-loud, fuzzed-out doom band. Over the course of a few years, we just naturally found ourselves playing more harmonized lines and streamlining our songs, combining our love of classic rock/metal with the visceral heaviness of amp-worshipping doom and sludge. You strike me as a band that would be very good live – what’s the typical Khemmis show like? [Ben] We are loud. Eyeball-vibrating loud. Bring earplugs. We try to put on a show that is both compelling and entertaining. The four of us enjoy playing music together and try to convey that through our shows. So, duelling flying Vs, a wall of amplifiers, and a band of guys who try not to take any of this for granted. [Ben] I love ‘em all, but “Ash, Cinder, Smoke” is one that just evokes a lot of emotion for me, as it’s a rather personal song about loss. Plus, our brother Ethan from Primitive Man laid down the heaviest of heavy vocals at the end. What are the subjects/themes of the songs on this album? [Dan] Each song has its own topic and meaning to us. Themes include suicide, abuse, and (when it’s time to lighten things up a bit) the apocalypse. Phil writes most of the lyrics, so the songs are largely about those things as he has experienced them, though we can all share those experiences to some degree. 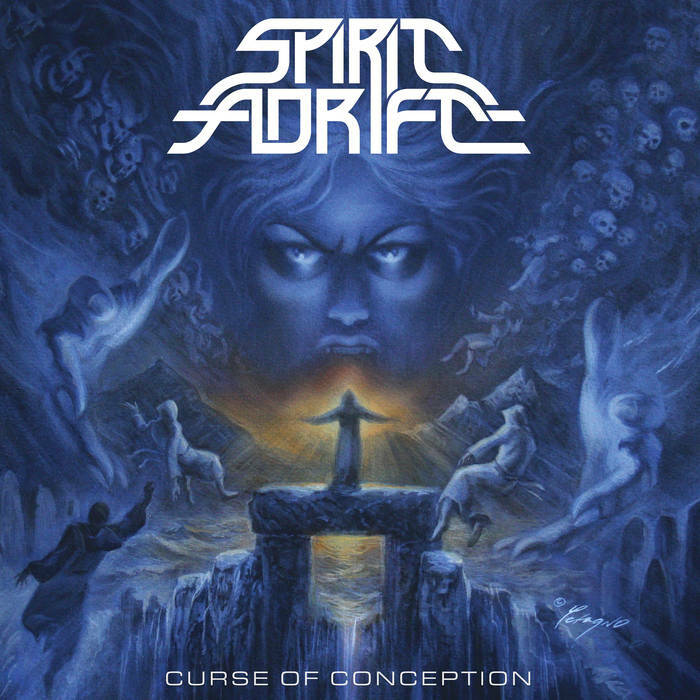 Basically it’s your typical, uplifting metal album. [Dan] Usually Ben and Phil work out a riff or two together before we play it as a band. In the rehearsal space we massage it until it feels right: we’ll play with timing/tempo, the overall feel, modifying riffs, changing structure, maybe even borrowing riffs from other working or discarded songs, and then Phil will start singing nonsense along with it all. Zach and I are usually on the same page; I think we try to take a listeners perspective and apply that to the working tune. Generally speaking, the song comes together like this: riffs first, structure, and then vocals; but nothing is set in stone and the formula is constantly changing. [Dan] Overall, it was awesome, because we’re really happy with the result. The process definitely evoked many emotions; at times it was hard work, sometimes it was really fun, we occasionally wanted to quit, but mostly it reassured us that we loved what we were doing. Dave (Otero at Flatline Audio) was super focused when it came to vocals. He and Phil shared ideas constructively, revisiting much of what we thought we were going to do, and the finished product turned out great (we think). [Ben] We are already writing for the next album, actually. There are Thin Lizzy moments a plenty, some hollerin’, some soaring, clean singing, and lots of heavy riffs. That said, there are already some moments that are more rockin’ and some that are more expansive than what we have done thus far, so expect some surprises. [Ben] We are hitting the road in August and heading up to the Pacific Northwest and down through California. We are lucky to get to play with a ton of great bands on that run, including a few days with Atlas Moth, Vattnet Viskar, and Atriarch. We are also ironing out the details for a run with a certain sludge band from St. Louis later this fall. 2016 will see us head down to Texas and, with any luck, out to the East Coast at some point. Our primary goal, though, is to complete writing and preproduction for the new album by the end of the year and to return to the studio in early 2016. This is the third album from US Doom Metallers Behold! The Monolith. The band play Doom mixed with Sludge, producing an album that sits outside of the normal template for both sub-genres and is all the better for it. In addition to the usual Doom staples, there’s also an anger here. This is manifest in the aggressive vocals and the more upbeat aspects of the songs. The tracks are a combination of Doom, Sludge and even a bit of Classic Metal and Post-Metal on occasion. This is an interesting and less-travelled path for a band to tread, and in this way Behold! The Monolith remind me of the equally compelling Khemmis. 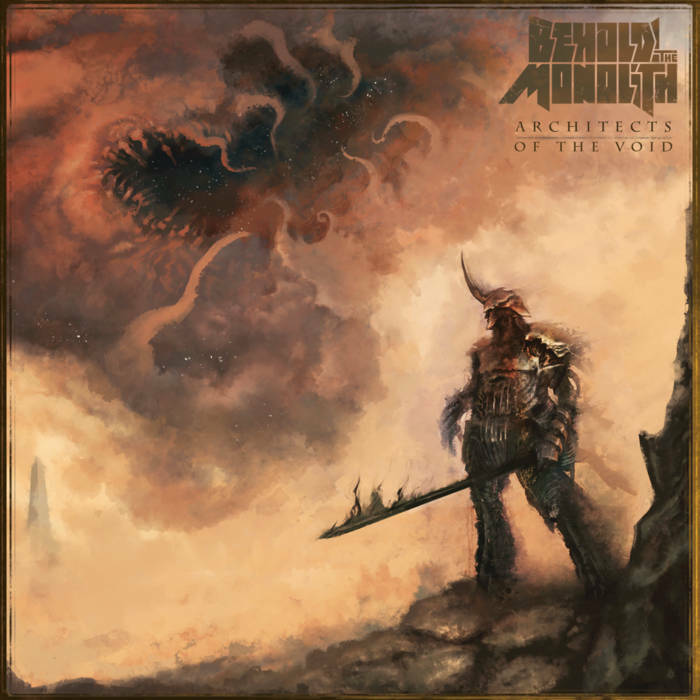 Architects of the Void is a heavy and dark album, full of slow, agonising crawls through a landscape littered with broken dreams and dying hopes. That’s not to say it’s a completely nihilistic and bleak album like some Doom; this is actually more of a well-rounded release than that, with brighter parts, epic feelings and groovier sections included too. Overall though, it’s heavy, dark and very engaging. The songs sound introverted and personal, albeit through the lens of a public-facing band. This sounds more like music played for the sake of musical catharsis and outlet than for the need to simply rock out or any such thing. There’s a lot of feeling here, sometimes bubbling beneath the surface and sometimes right in your face. Due to the mixing of the sub-styles, (Doom/Sludge/Metal), this is quite a varied release and each song has its own personality. The album works well holistically and there’s a lot of depth, nuance and longevity to be had on this release. Like the tastiest of Metal feasts, Architects of the Void will leave you feeling satisfied and satiated. 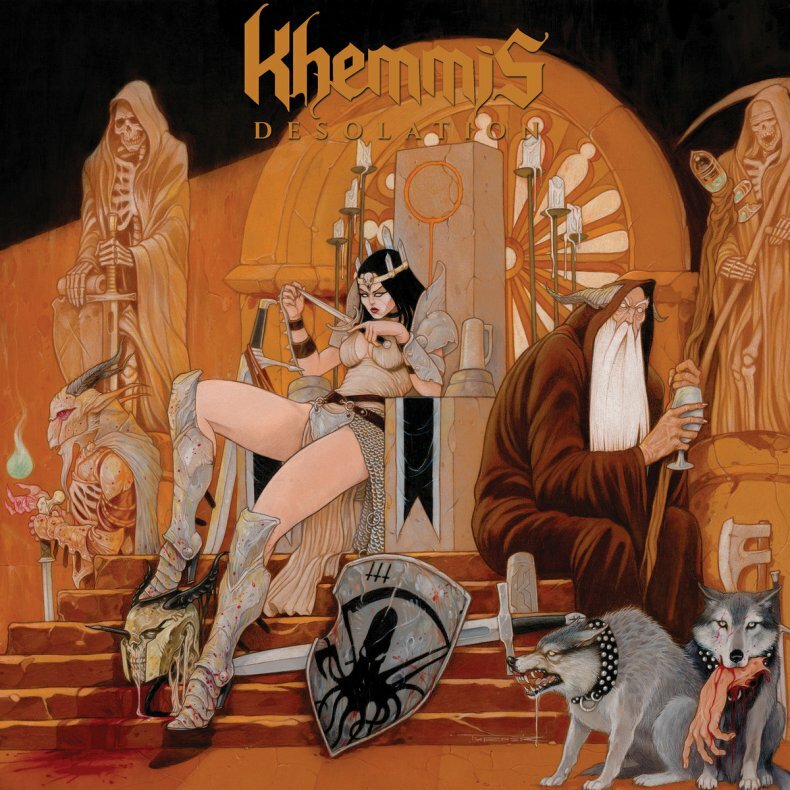 Khemmis are a US Doom Metal band and this is their début album. Now this is an interesting release. 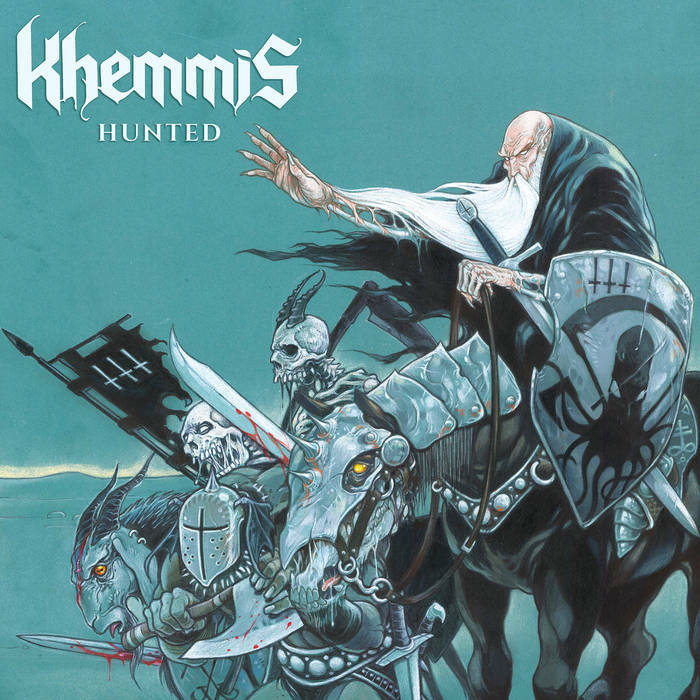 The album cover might lead you to believe that Khemmis are a Traditional Doom Metal band, and although this is certainly a big part of their sound there’s also more going on here than that. Khemmis combine Traditional Doom Metal with Sludge Metal. This is not a common thing to do and it works much better than you might think. What does this mean in real terms? Well, it means the ancient Traditional Doom approach is melded together with a heavier, Sludgier sound that’s partially one and partially the other. Imagine a cross between 40 Watt Sun and a cleaner version of Primitive Man. The vocals also display this duality of Doom purpose; dreamy, traditional clean vocals are occasionally supplemented with deeper growls that seem like they’re about to tear the Earth apart with their ferocity. I love the way the band manage to take the clean Doom Metal sound, mix it with the dirty Sludge style and come up with a winning combination of the two. This is usually within the same song too. Southern-inspired riffs share space with heavenly cleans, (the singer has a top quality voice), before descending into the pit once more and the Deathgrowls rule the roost for a while. This is an album that cries out for repeated spins, and repeated spins it gets. In addition to its obvious charms there’s a lot of hidden gold on Absolution.